Now that warm weather has hit the Greater Lansing area in earnest getting outside to play is high on most people&apos;s to-do list. By this sure, I mean sports like basketball, baseball, softball and golf, but how about just getting out and moving?! You don&apos;t need a team of people ready to play, heck, how about two people playing catch, or one person running or one little girl rocking her hoola-hoop. It&apos;s all about getting out into the sun and moving your body and there is no place better to do that than Greater Lansing&apos;s many picturesque parks and natural areas. Parks and natural areas throughout the region offer a place to throw, run, catch, tackle, shoot and score. Take your best shot. 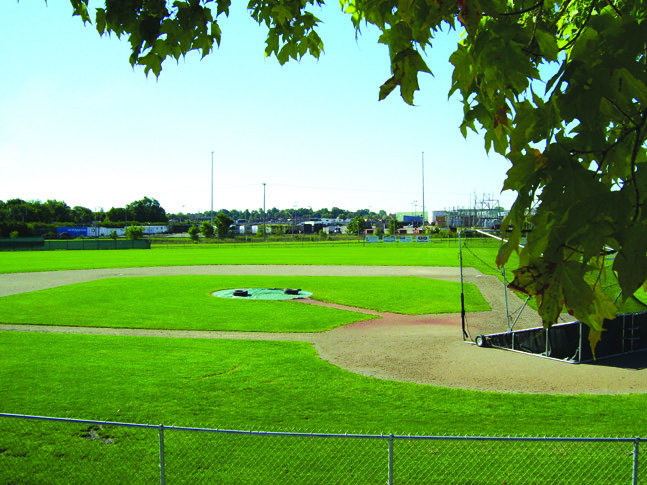 The parks and gardens portion of the THINGS TO DO page of lansingsports.org is your guide to finding a place to play, whether that is a full blown 11 on 11 game of tackle football, or a relaxing frisbee toss between a few friends. We&apos;ve been inside in the cold, and watching a lot of sports, from the Men&apos;s NCAA Basketball tournament, to the Masters, to the start of professional baseball season, but now its finally time to turn the TV off and go play for real. Kind of liberating. Good thing Greater Lansing offers so many places to play every kind of game you could think of. Get out and enjoy its your turn to play!